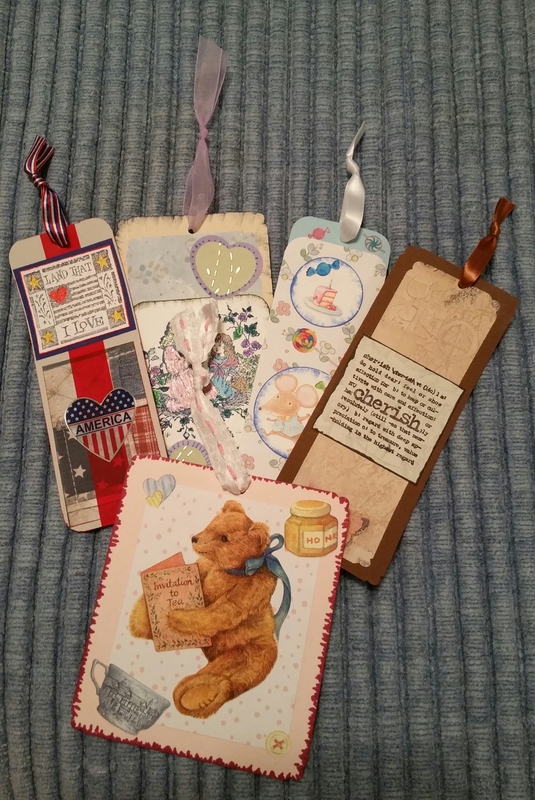 Just some more bookmarks from scraps of paper that I made today. One of my sons brought Chinese food last night for supper and I eat those dry, horrible fortune cookies. 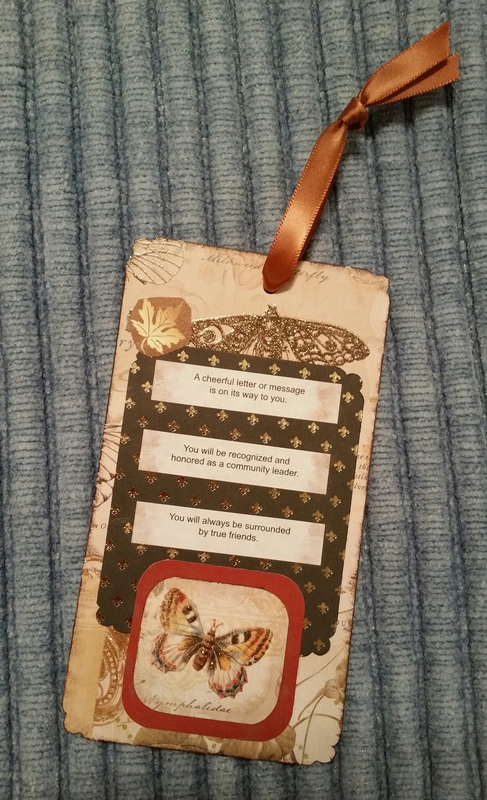 Made a bookmark out of these three fortunes – very lucky ones, lol. Had to look up the hand gestures on my baby Buddha calendar, because just like words really do have meanings (no matter the Left’s penchant for muddying the waters on that), those hand gestures symbolize much bigger things. The Buddha’s hand, held close to his heart with thumb and forefinger tips touching symbolizes the transmission of the knowledge he has gained after attaining enlightenment. Another name for this gesture is Vyakhyana Mudra or the “mudra of instruction”. The circle formed by the fingers touching each other signifies perfection, with no beginning or end, like the law of Dharma itself. There are many variations. The Buddha may be seated or standing while gesturing thus. In other poses, both his hands may display the Vitarka Mudra. There are more details on additional symbolism with lotus flowers at the link above, like what the different color flowers mean, etc.